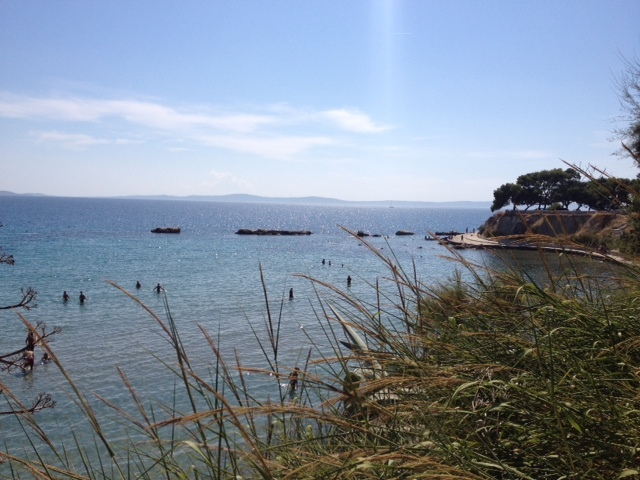 The first week of my summer holidays was spent in sunny Croatia. 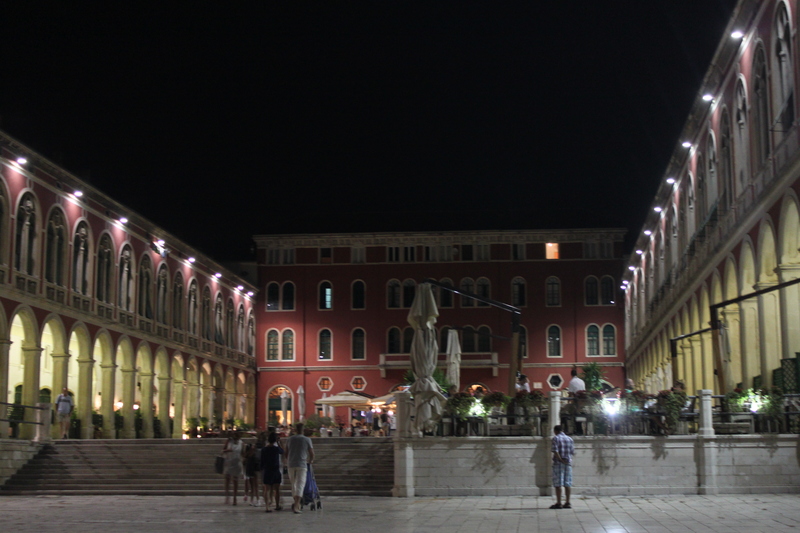 We had one evening in Split and then stayed in Hvar town for the rest of the week. Gaby, Rowena and I had an amazing week with lots of sleep, lots of sunbathing, a bit of party and several nice meals. My ideal holiday. 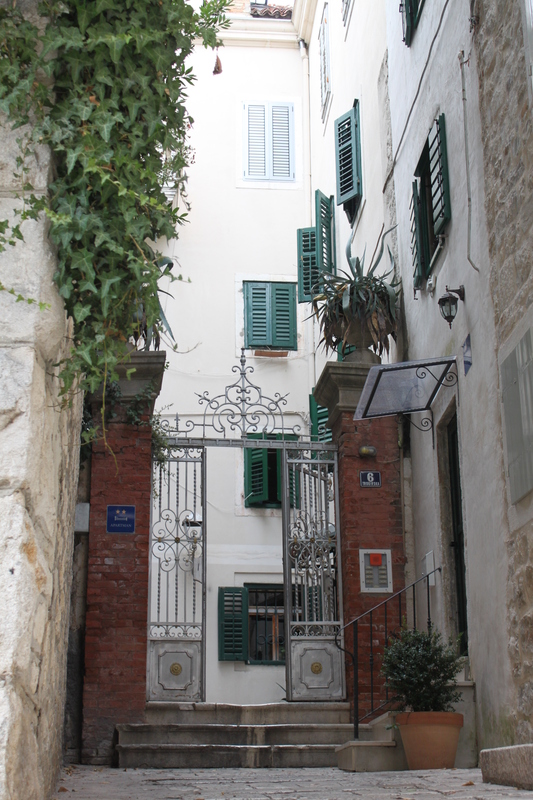 We stayed jn Hvar Town the whole time and although it is small town there were plenty of restaurants to choose from so we never got bored. Our first evening we tried Macondo, a fish restaurant with a great reputation. 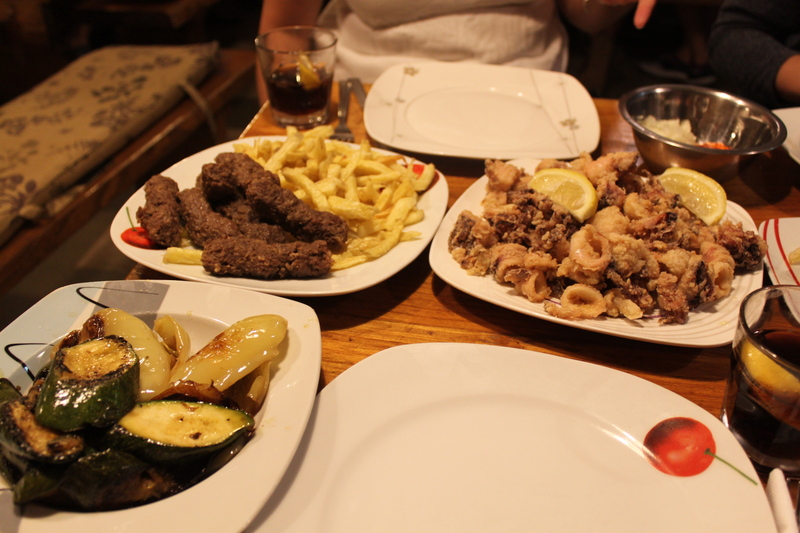 We tried the local dish marinated octopus which was really nice and then shared a platter of grilled seafood and a lobster pasta. The food was alright but not amazing so we were a little disappointed. But then again, maybe we just ordered the wrong things from the menu?! This restaurant’s speciality is slow cooking and offered lots of stews. We started with a fish tartar (not sure which particular fish) to share and then Gaby and I had the fish stew with potatoes and shelfish. 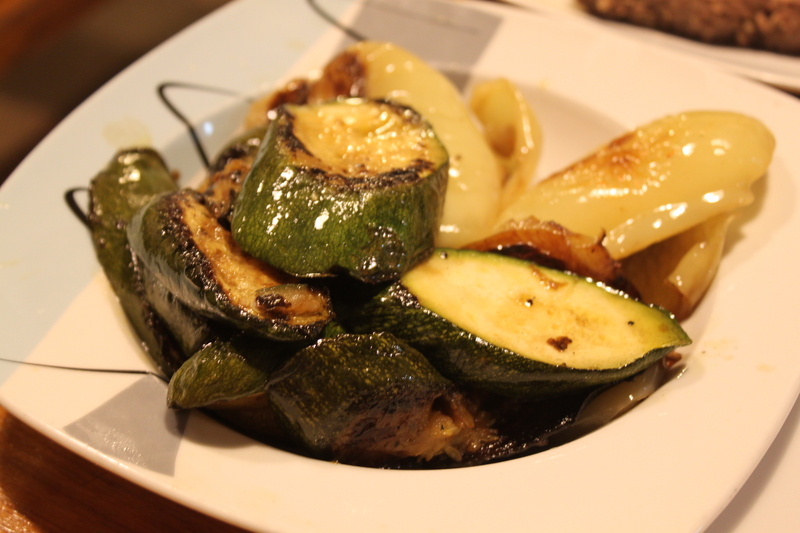 It is one of their signature dishes and it was nice in a homemade kind of way. Rowena had a beef stew (shortribs?) with dumplings that was very heavy. The meat was very tender melted in the mouth and although a hearty stew isn’t summer food for me it was nice and well cooked. 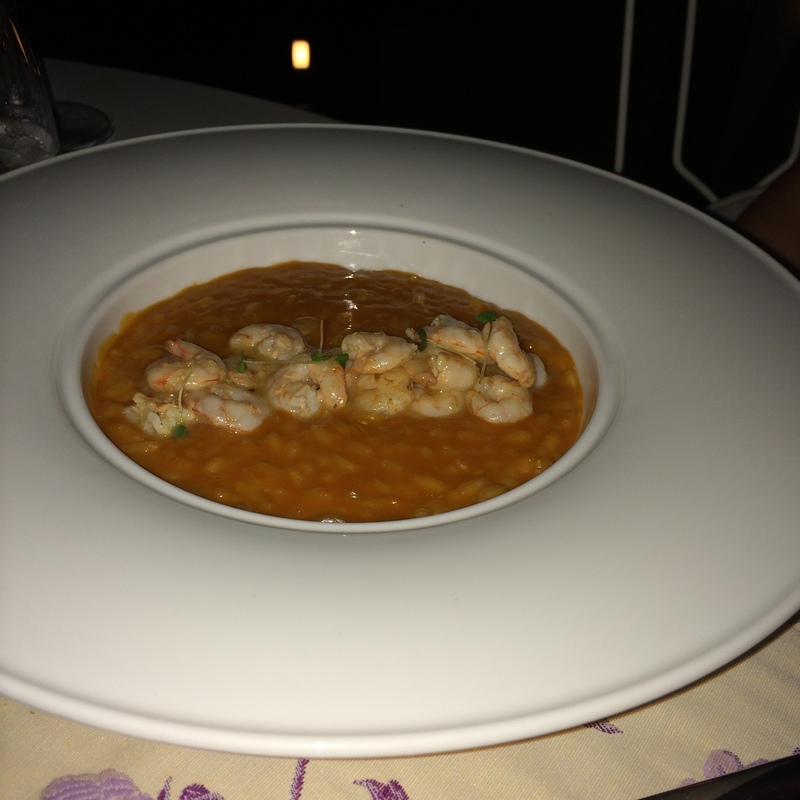 Gaixa had a bit more oomph than the previous two restaurants. 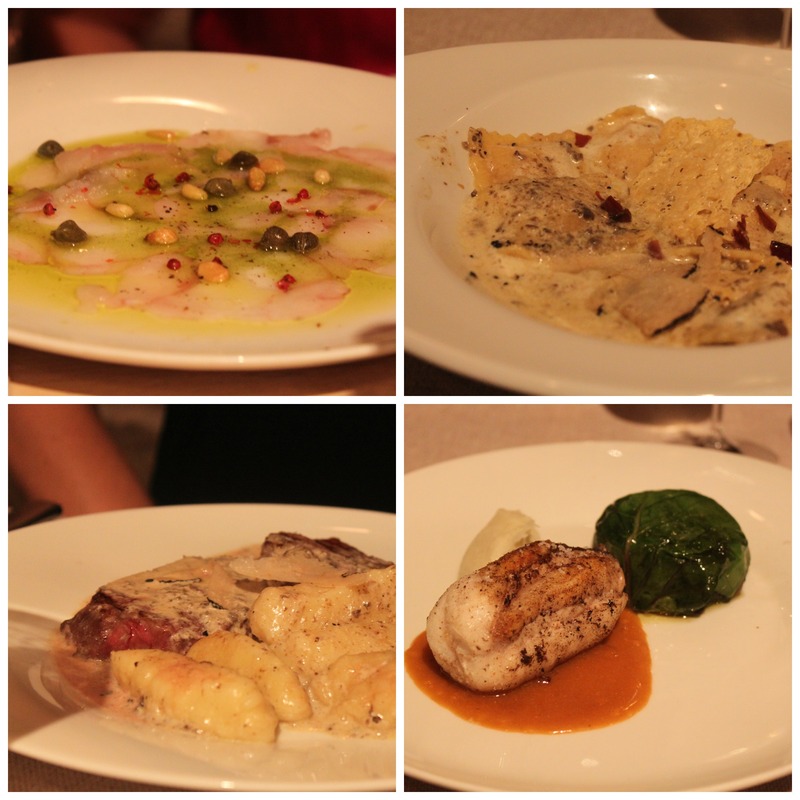 Gaby and Ro shared the swordfish carpaccio which was lovely and so was my ravioli with truffle sauce. The beef with gnoochi and truffle was utterly delicious while my swordfish with cauliflower mash was underseasoned a little underwhelming. But overall I really liked this place. 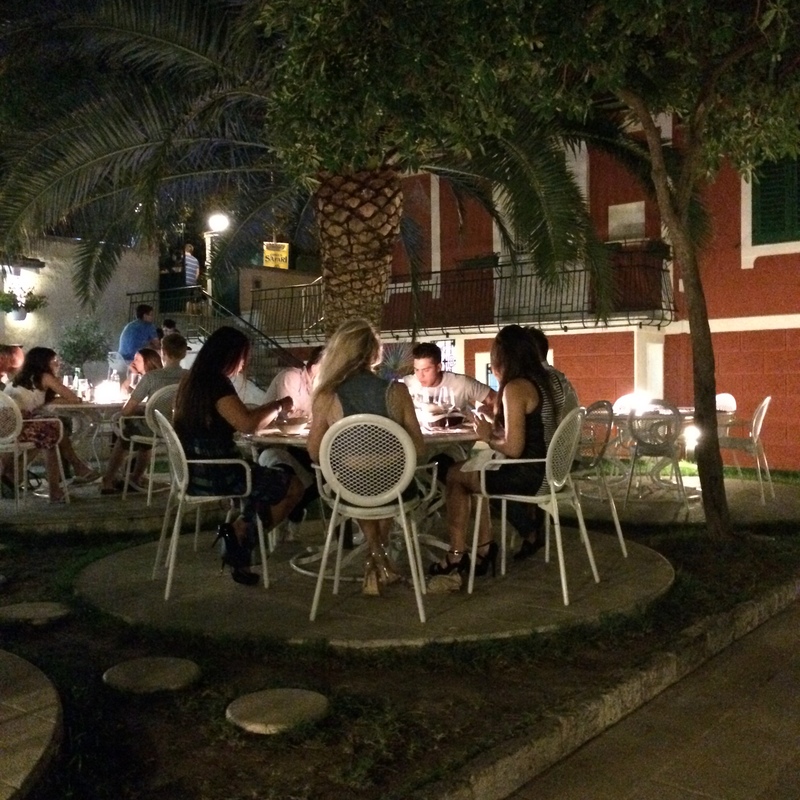 We sat outside in a cozy courtyard at Paradies Garden and could watch the boats in the harbour. 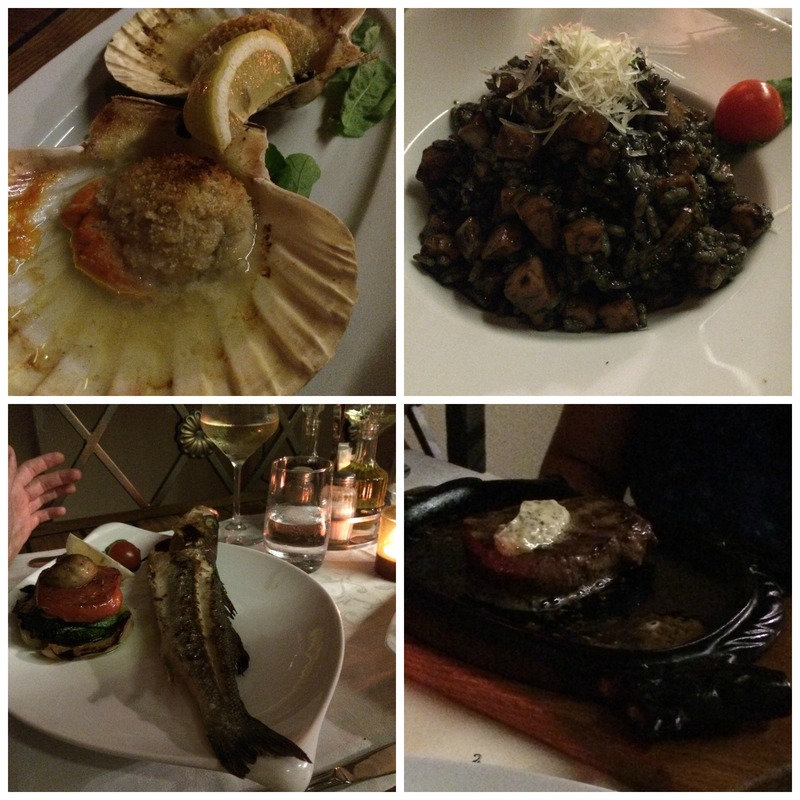 The portions were huge but everything we tried was well-cooked and very nice; grilled fish, risotto, scallops and their signature dish – meat cooked on a hot stone. The table next to ours shared a huge seafood platter that looked great too! Ro and Gaby noticed this place when out for a walk and thought the pizzas looked nice. So that’s what we had when we had dinner here the last night (and pasta). It is a no-fuss restaurant but the food was nice, the wine nice and it was very good value for money. Definitely the cheapest place we had dinner. 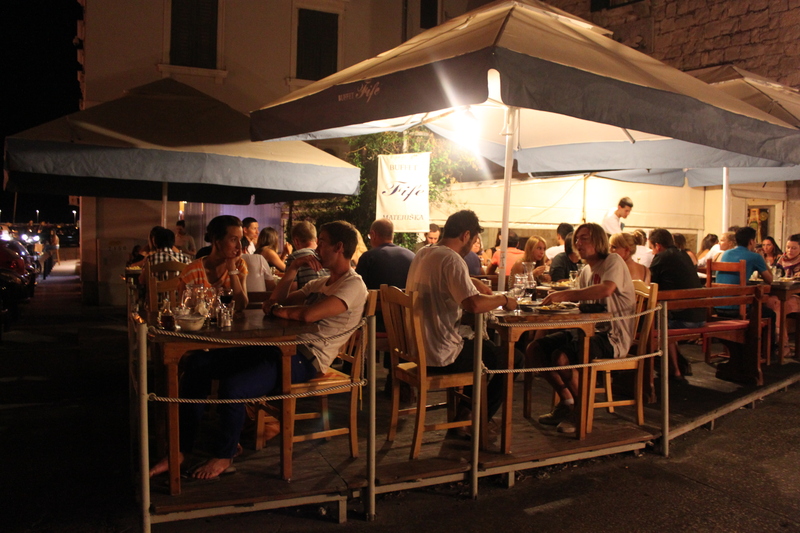 We arrived to Split quite late on a Friday night but we were determined to go to this lovely restaurant we discovered last year, even if it meant eating around 10.30pm. The ambiance was just as cosy as we had imagined it would be in the evening, sitting outside overlooking the beach underneath some trees. Last time we had lunch here which was also lovely, but in a different way. The menu was similar to last time although some of the fun commentary was removed. 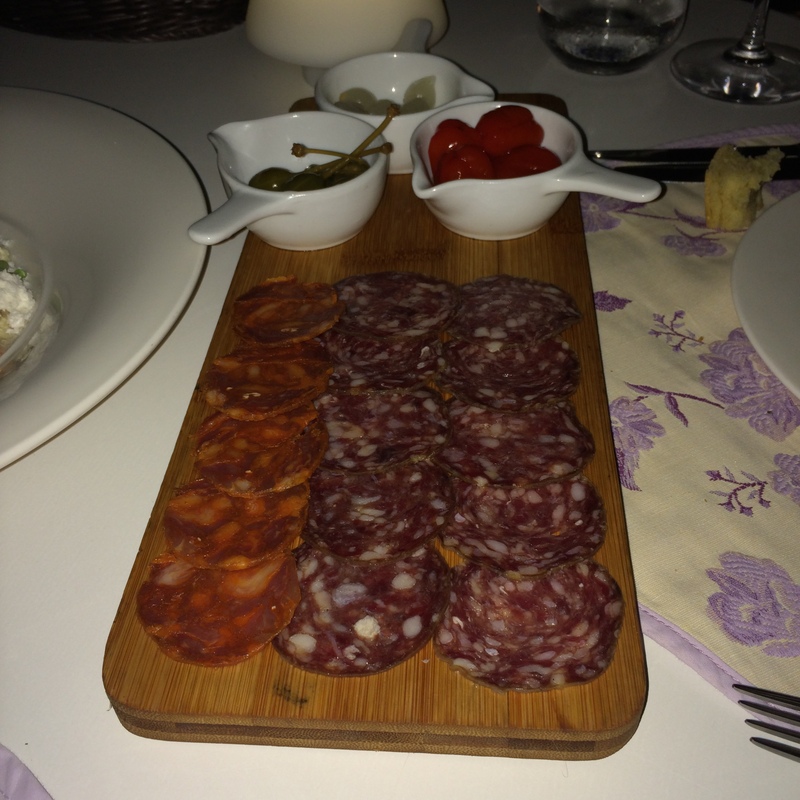 We started with a board with various meats like saucisson and chorizo with pickles as well as an interesting salmon tartar with olive oil ‘snow’ on top to share which was plenty. 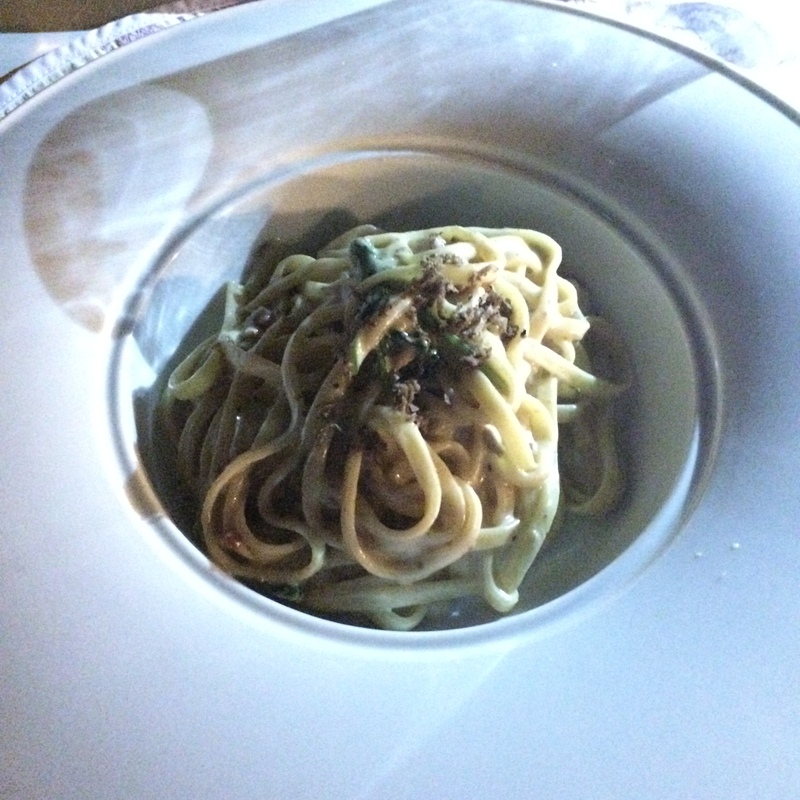 For the maincourse I actually chose the same delicious pasta as last time; spaghetti with prosciutto, rocket and truffle sauce. 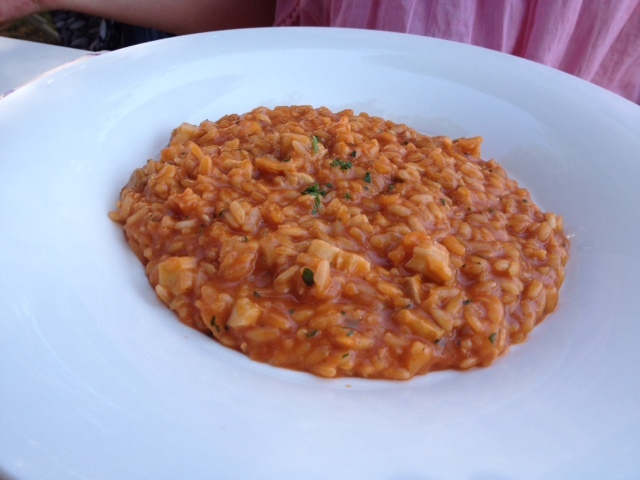 Gaby had a risotto with prawns and Rowena a very generous portion of grilles seabass. We had a great meal and this was a fantastic start to our trip. 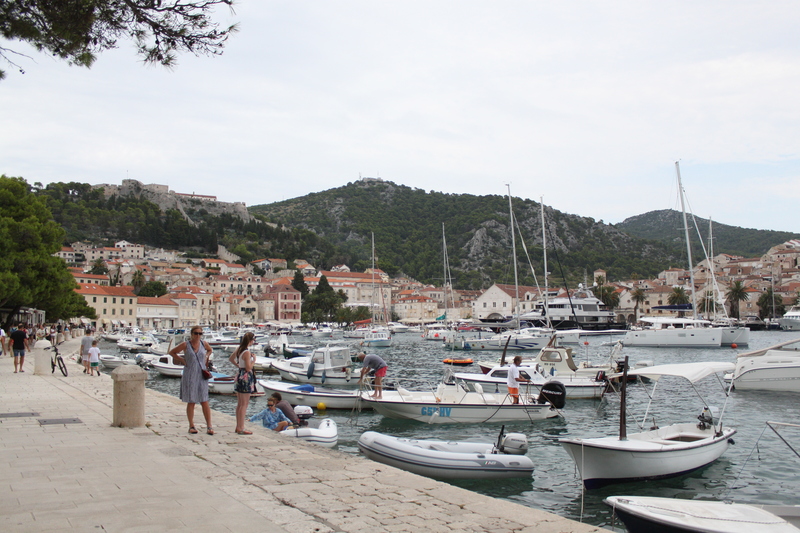 The next day we took the catamaran to Hvar where we spent the rest of our week. Mainly in our respective sun loungers. 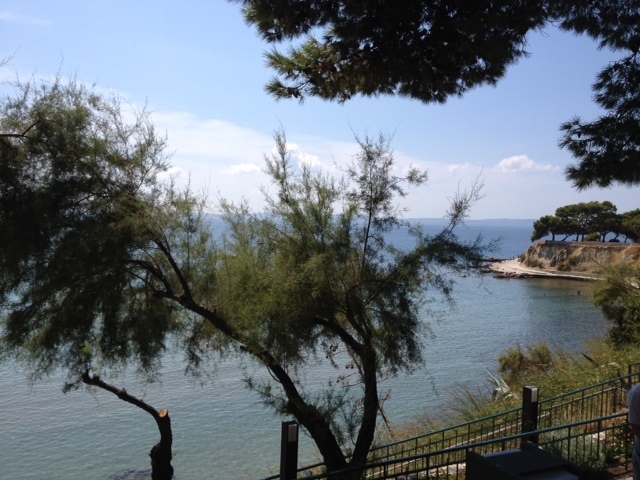 3, 2, 1 – today I go on holiday and I am incredibly excited! First I’m spending one week in Croatia soaking up some sun with friends and then I’m off to Sweden for a ten days to spend time with family and friends. Please do pop in during the time I’m away as the blog will still be updated a few times a week. And I might send you a post card! 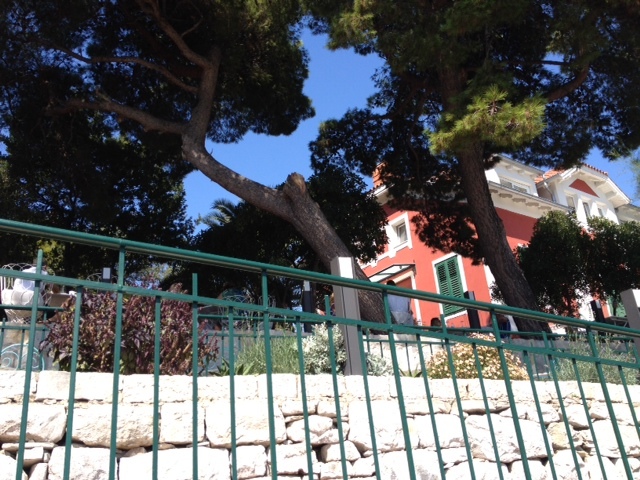 Split is not a large town so after a few days we had exhausted the town centre and explored different areas of the town and stumbled upon this wealthier area with tennis courts, fancy cars and among others, restaurant Dvor, where we had lunch. It was placed just by the waterfront overlooking a beach. We sat in the garden enjoying the amazing view and gorgeous food. 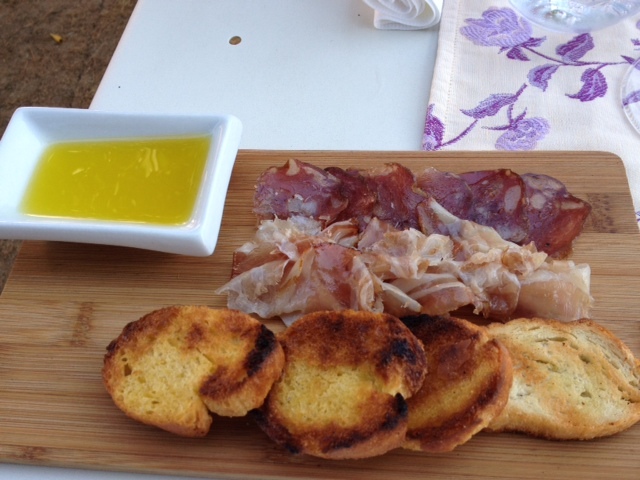 We started off with an amuse bouche; a wooden board with grassy olive oil, crostini toasted in an wood-fired and house charcuterie (prosciutto and salami). Such an amazing way to start out meal. 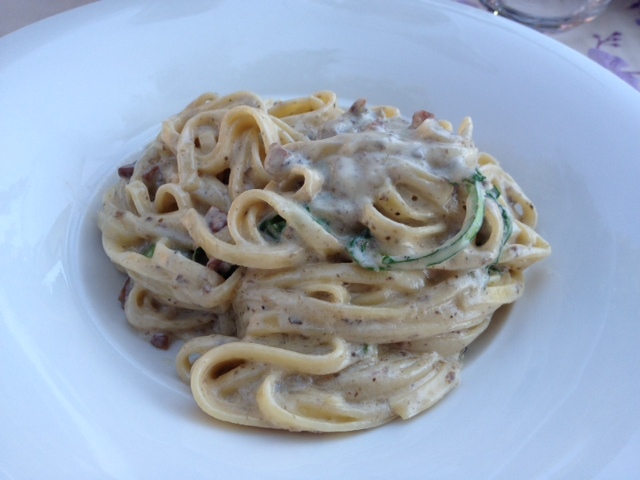 I had the homemade tagliatelle with prusciutto, black truffle (which I never seem to be able to resist) and rocket. It was seriously creamy with deliciously strong flavour. I absolutely loved it! After stuffing us full with the gorgeous food we sat enjoying the view and our wine for a while people watching. The other guests seemed to be a mix of families, couples and ladies who lunch. The only downside with Dvor was (unfortunately) the service. Both the food and the lovely setting weighed up, but I still find it inexcusable for a good restaurant to have bad service. Our waiter was both a little grumpy and left us waiting when the kitchen was backed up, the apology arrived at the same time as our food. And when we wanted to settle the bill our waiter was nowhere to be found so we had to wait again.Hopefully it was just a temporary glitch otherwise I would suggesting hiring some new waiters. My dear friend and travel companion Gaby loves researching and it was thanks to her efforts we found this sushi restaurant in Split. It appears sushi is more fine dining than take away here and it was certainly the first time I ate sushi on a linen tablecloth. Very pleasant! 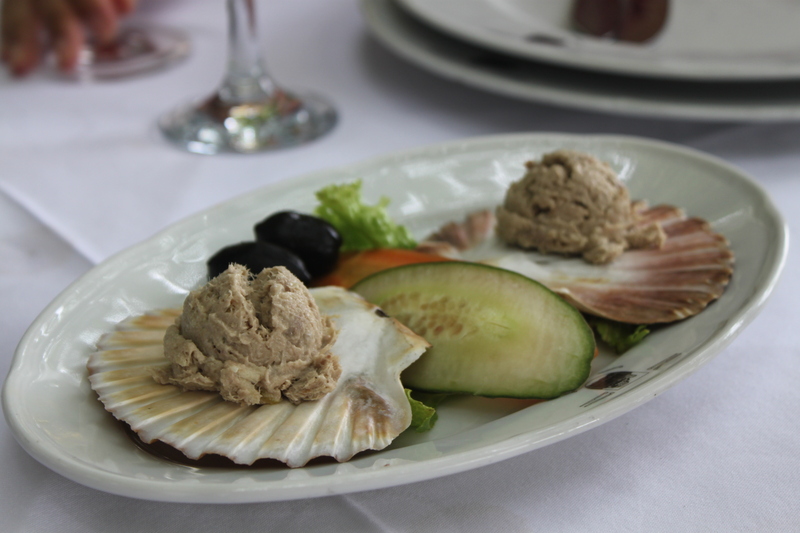 We also had an amuse bouche (lovely tuna paté with crostini) while waiting for our sushi to be prepared. 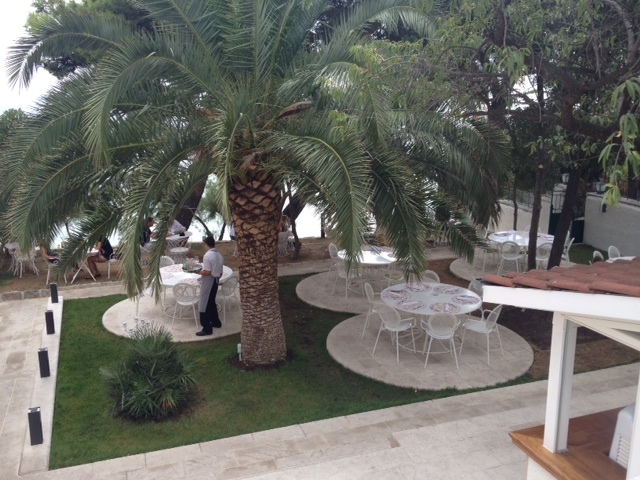 The restaurant we went to is called Bota Sera, overlooking one of Split’s many (pebbly) beaches. We chose four different type or rolls that we shared and they were all very nice. 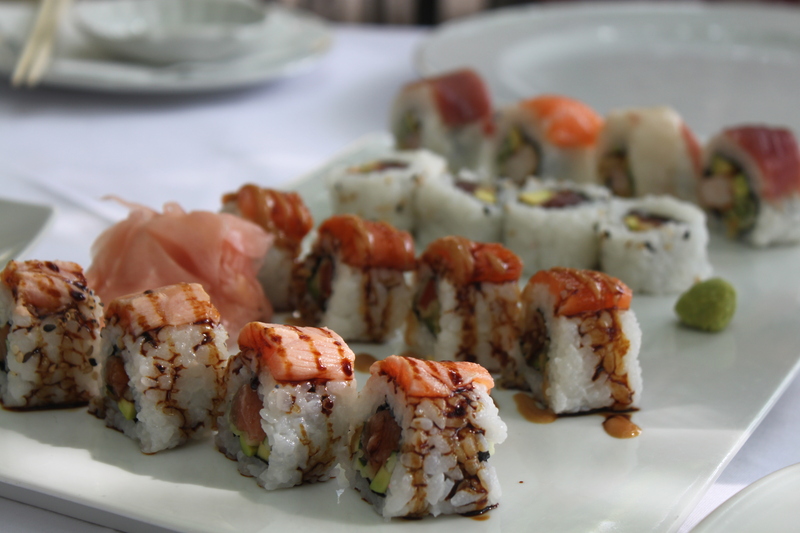 From left to right; salmon skin roll, tiger roll, philadelphia roll and rainbow roll. 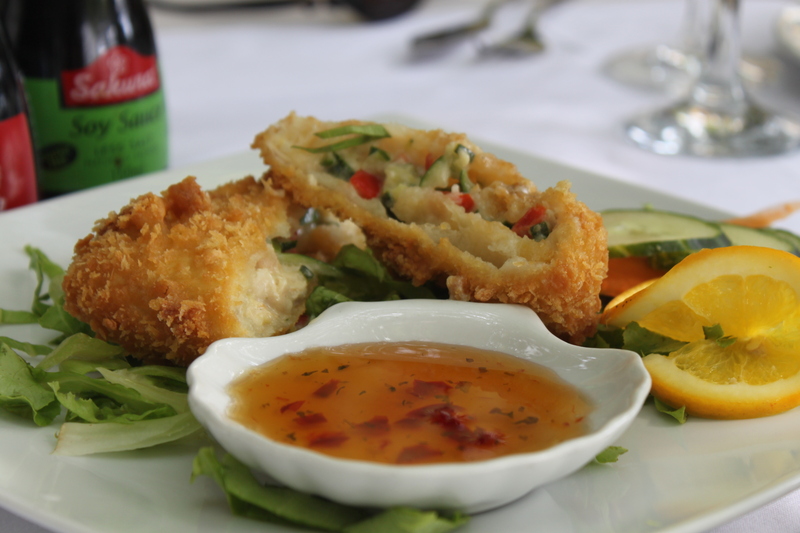 We also tried their vegetarian spring roll which was more like a huge croqueta than a typical spring roll. 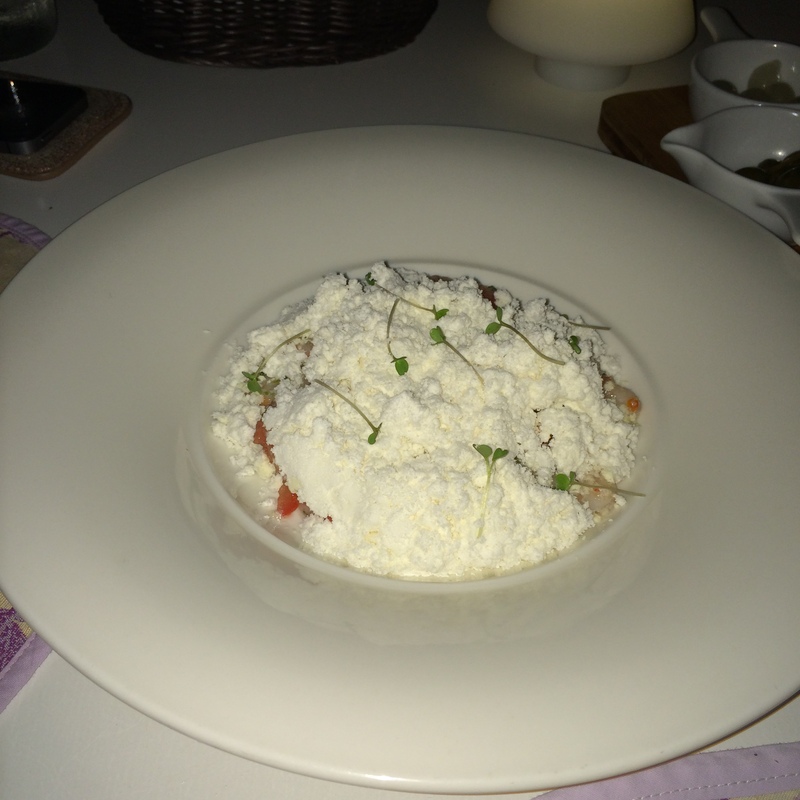 It was very nice though, and I loved the honey dip with fresh red chilli that it was served with. 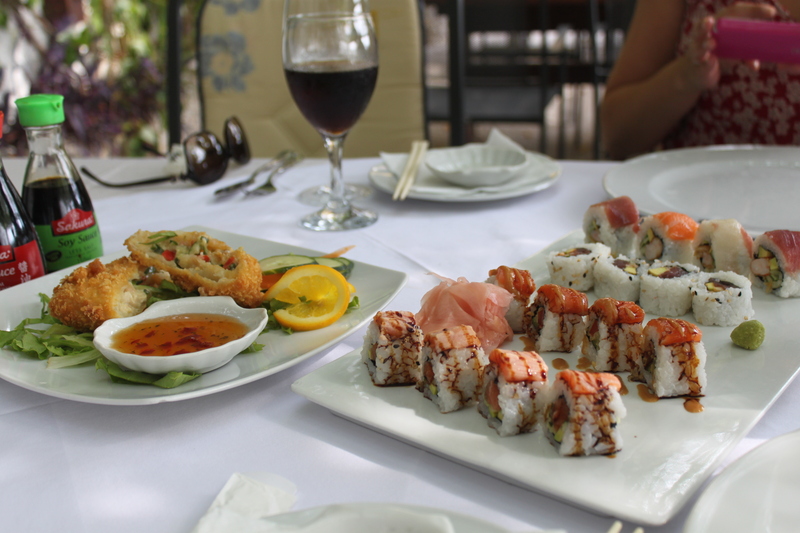 There are quite a lot of different food influences in Croatia, especially Italian, but it was nice to find sushi as well as I always crave it in hot weather. 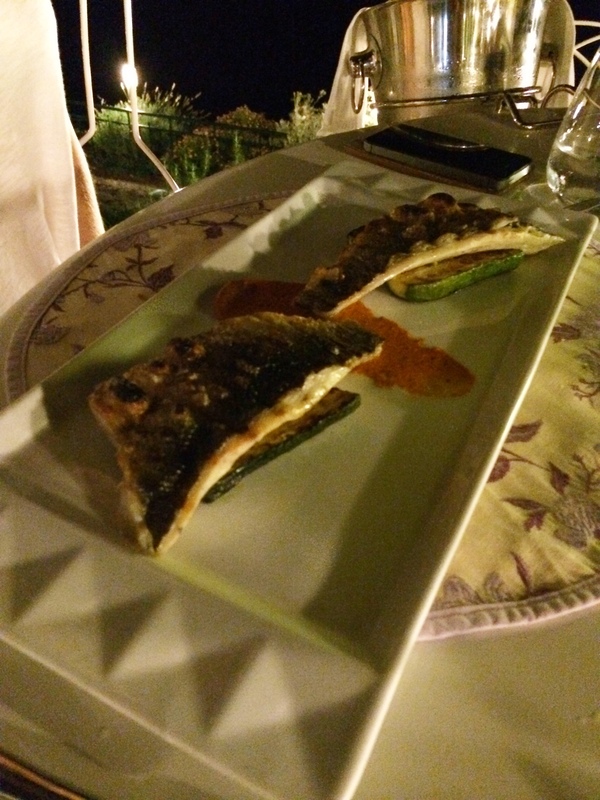 When asking anyone about restaurant recommendations in Split, Fife was always among them so we had quite high expectations when we went there. It looks really cosy and was packed with people every evening we walked past. We knew the restaurant served rustic, hearty food but I guess I still expected a little finesse which was lacking. The food was cooked from scratch and definitely OK but not much better than that. Seriously generous portions though. This was two portions but could probably feed four. 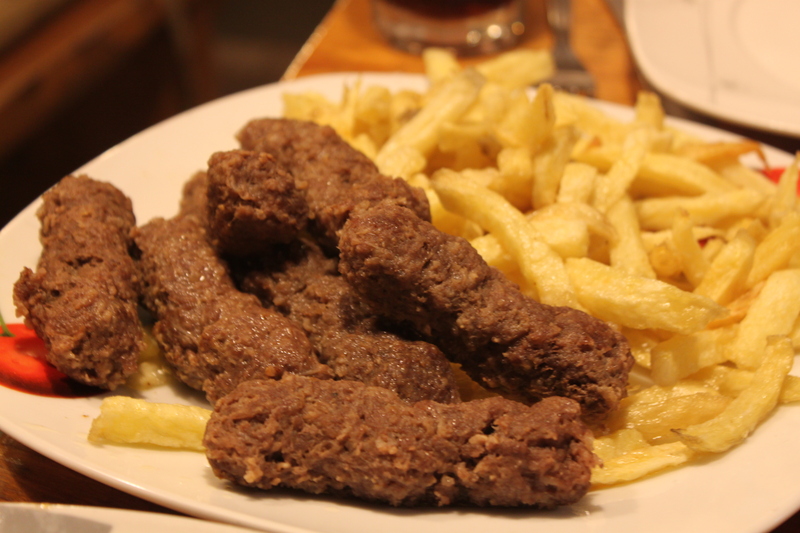 We had the classic Croatian cevapi which was nice, but not superior others we had elsewhere. 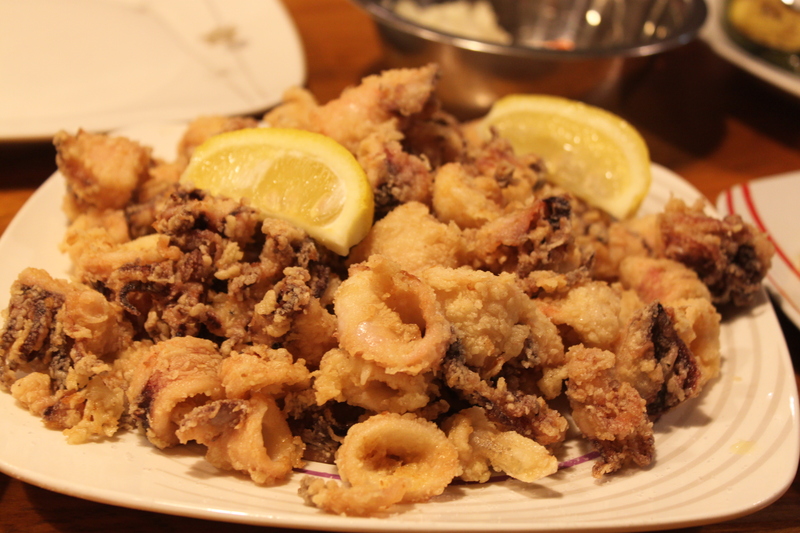 The portion of calamari was enormous and it was pretty good, but I must admit that my own homemade one is even better and since it is such an easy thing to cook I was a bit disappointed by that. I still think Fife is worth a visit, the atmosphere is great and it is seriously cheap here, just don’t expect anything other than decent basic home cooking. 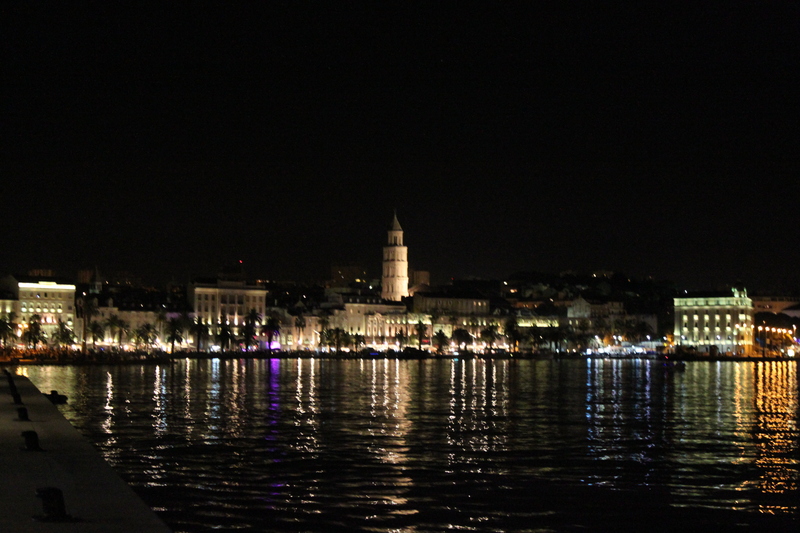 After a week on board a yacht it was heaven to sleep in a real bed and have wifi access at the hotel and we certainly needed a few days in Split to rest up and explore the town. 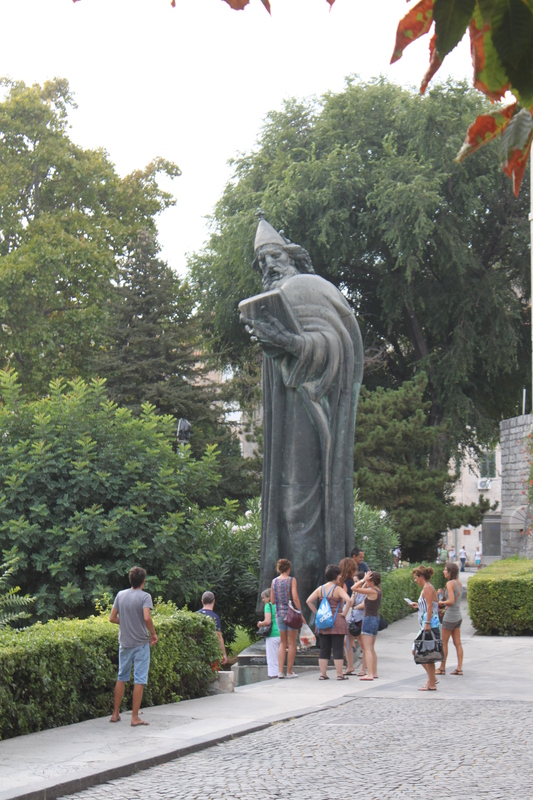 If you’re efficient you won’t need much time exploring Split and although there are a few things to see it is quite quickly done. 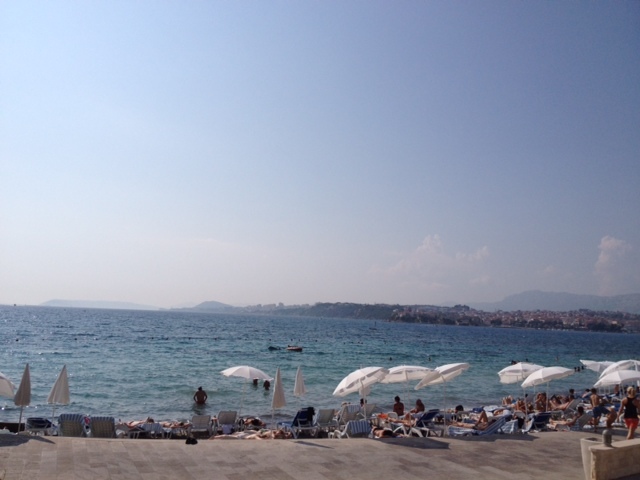 But there are a few beaches to relax on (some pebbled though so choose carefully) and plenty of nice restaurants around. 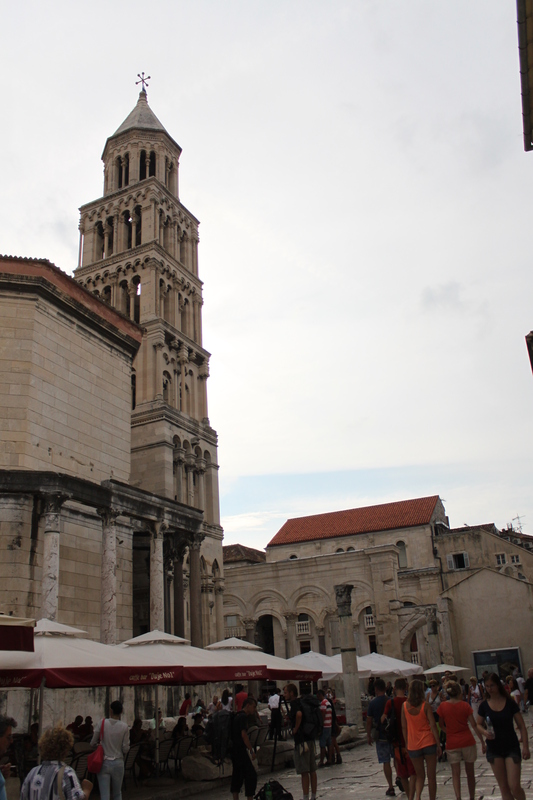 The most famous tourist attraction is the Diocletian palace in the centre of town which apparently is one of the most well preserved Roman ruins in the world but the way it was presented with shops and restaurants all over it wasn’t amazing. One thing I didn’t know about Croatia is that the cravat originates from here. 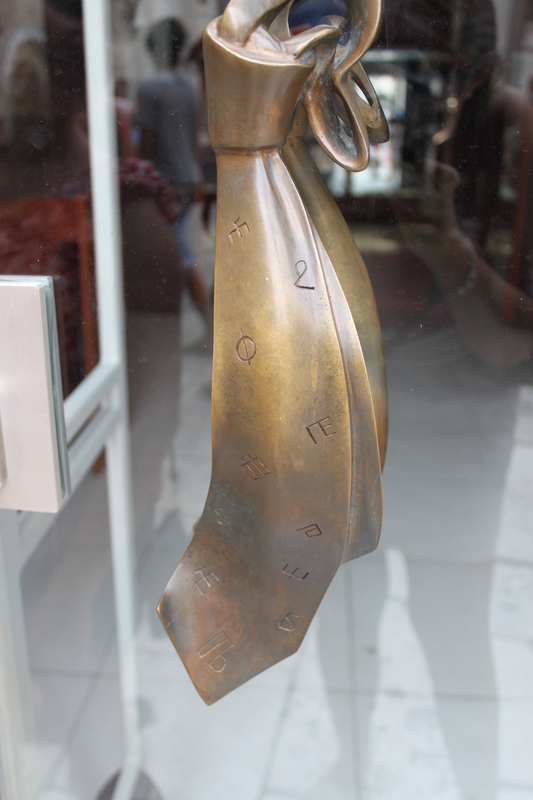 There were several cravat shops around and one of them had this pretty door handle. 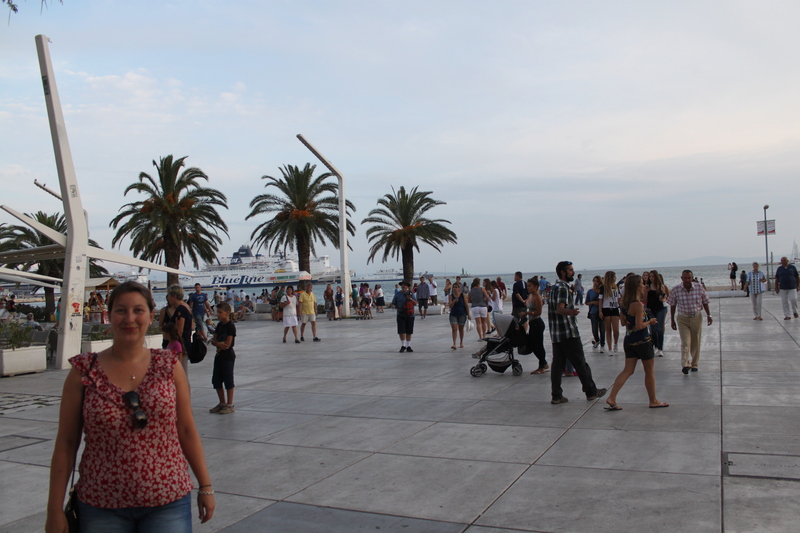 Riva (the boardwalk) was pretty but quite touristy so we tried to avoid it at times and enjoy it at times. The view out over the sea and the marina was wonderful though. 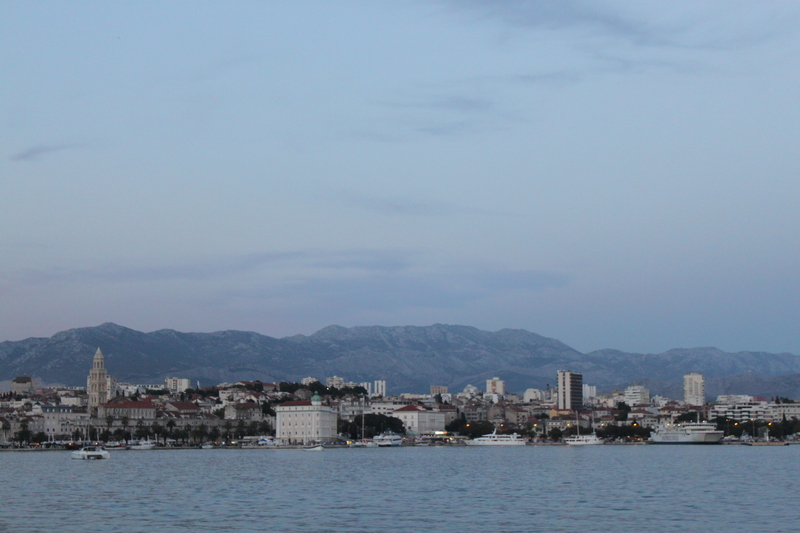 That’s it from Split for now, but stay tuned for the upcoming restaurant reviews.